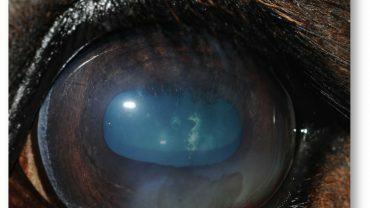 An innovative stem cell therapy first used at the NC State College of Veterinary Medicine shows strong promise in treating a chronic equine eye disease. In a new proof-of-concept study, stem cells were injected under the conjunctiva, the membrane covering the front of the eye, of four horses not responding well to the usual treatment for equine immune-mediated keratitis, or IMMK. Three of the horses had a long-lasting, positive response to the treatment while the other had no response. It marks the first time stem cell therapy has been used to treat IMMK. The stem cells were derived from the bone marrow of the horses participating in the study. 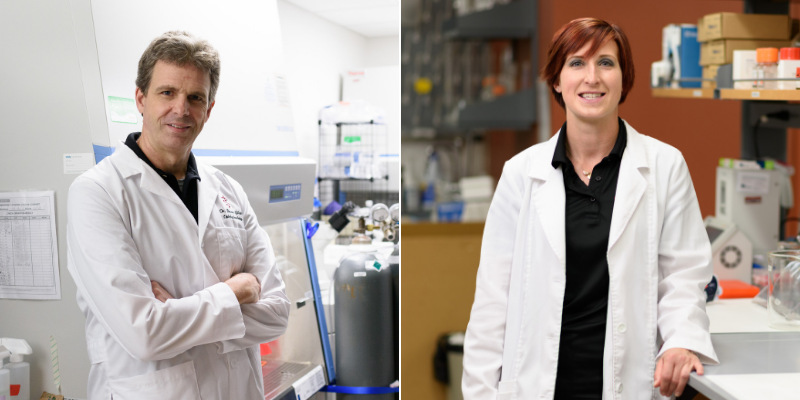 The study, published in Veterinary Ophthalmology, is a CVM collaboration between Brian Gilger, professor of ophthalmology; Lauren Schnabel, assistant professor of equine orthopedic surgery; and Amanda Davis, a former resident of Gilger’s. 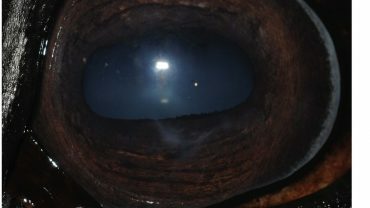 Corneal clarity was striking in the three horses that responded well to the treatment, with results that lasted at least a year. Gilger said some of the eyes appeared to go back to normal, even though the horses had lived with IMMK for many years. IMMK is an increasingly common, non-infectious inflammatory disease that is rarely painful but leads to eye cloudiness and decreased vision. The disease can linger as long as the life of a horse and is thought to be caused by an overly intense response to injury or foreign cells in the eye. There are four types of IMMK classified by types of corneal lesions. It typically impacts one eye, but can affect both. 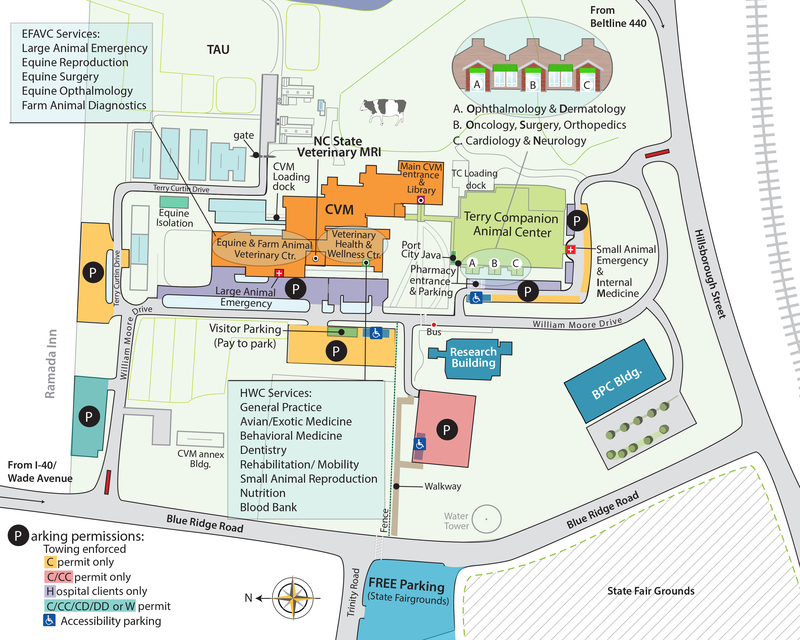 Stem cells are commonly used at NC State to treat equine musculoskeletal injuries and diseases. The results are encouraging, but more work is needed. The number of participants in the study was limited, and further research could determine other areas of the eye to target for effective stem cell injections. Gilger and Schnabel are curious about whether injecting stem cells directly into the cornea can fight certain conditions; corneal wound healing is of particular interest to Gilger. The next step in the IMMK study could be a formal clinical trial to establish proper stem cell dosing and better delivery techniques. Treating IMMK often means administering immunosuppressive medicine such as cyclosporine every day, several times a day. Schnabel had a mare with IMMK that required eye medication multiple times a day. Sometimes, surgical removal of an IMMK corneal lesion is required. In 2005, Gilger’s research group was the first to clinically describe IMMK, it’s mechanisms, stages and treatment options. His team’s work has shed much-needed light on an array of equine ocular diseases, including corneal ulceration and uveitis, which causes blindness. Schnabel has specialized in stem cell immunology and regenerative therapies since 2006. Her research lab’s work has led to breakthroughs in making stem cells more safe and effective in equine therapy, particularly for the treatment of tendon injuries. Gilger, Schnabel and Davis have worked together before. The trio, along with Schnabel lab member Alix Berglund, published a study in 2017 on the effect of in vitro bone marrow-derived mesenchymal stem cells on equine corneal wound healing. That study found the therapy may substantially improve equine corneal wound healing. Read the new IMMK stem cell therapy study here.